The War on Drugs is at the root of a staggering array of problems in today’s society. 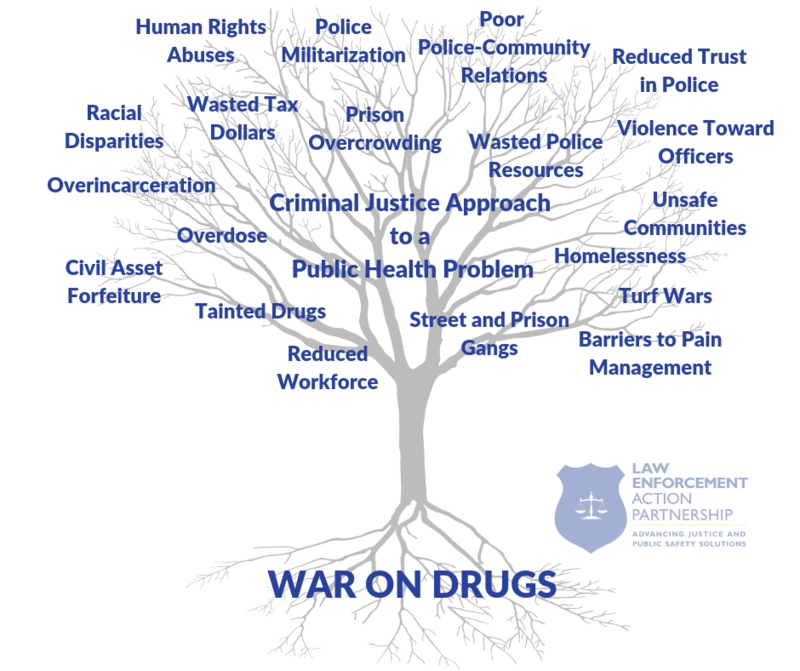 Drug policy reform is a core focus of the Law Enforcement Action Partnership. First established as Law Enforcement Against Prohibition in 2002, LEAP was co-founded by Police Captain Peter Christ (Ret.). A 20-year law enforcement veteran of the War on Drugs, Captain Christ has been speaking out to end drug prohibition since 1989. He co-founded LEAP with the mission of reducing harmful consequences resulting from fighting the war on drugs and lessening the incidence of death, disease, crime, and addiction by ending drug prohibition. LEAP thanks Captain Christ for his extraordinary vision - there's no better way to learn about drug policy than to hear it from him! Watch as Captain Christ demolishes every argument for the War on Drugs in this viral video.